All model ships listed here are currently in stock and available for purchase right now. However, if you live outside the United Kingdom, the USA, and some European countries, you will need to email us to ask for a shipping quote to complete your order. This is a stunning wooden tall ship model. It's handcrafted from scratch and beautifully painted. This red and white tall ship model for sale comes assembled and ready for display. 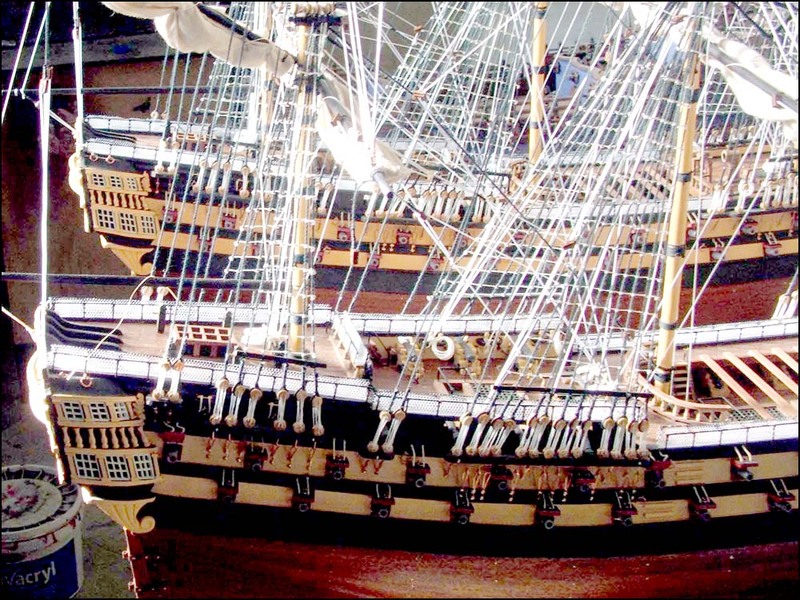 This is the largest and finest copper plated Cutty Sark ship model that we have made to date.